I’ve spent half an hour trying to figure out how to start this piece. 30 minutes of staring at a blank screen, wondering where to begin. What catchy sentence will grip the reader? Which hysterical one-liner (that only 3 people will laugh at) should I kick off with? How do I even BEGIN to talk about the weekend’s events? The baby’s crying. The dog’s kicking her food bowl at me and work have declared me ‘missing, presumed dead’. The wife’s even downloading Tinder since her husband has barely said a word in the last 3 days. She says she understands. She says she knows what I’m going through, but how can she?! She wasn’t there! Saturday 9th of February was the day everything changed. The day I realised that He has come to save us. Lee Camp, the son of Mick, was sent here to be pelted with abuse and criticism for our sins. He takes to the pitch week in, week out, and plays the scapegoat so that others around Him may be free from blame. I see this now. It’s so clear. Lee Camp saves! 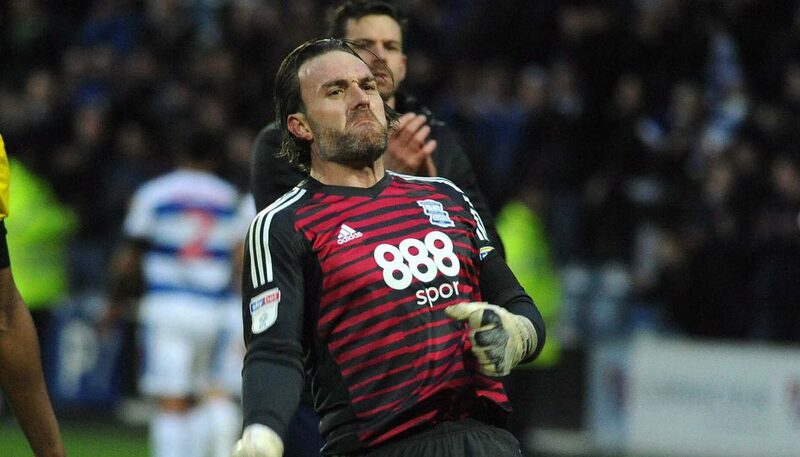 Lee Camp saves me, saves you, saves the team. Lee Camp saves last minute penalties and I vow never to question Him again! The clash at Loftus Road was not good for the old ticker. It was as perfectly ‘Blues’ as it was completely unlike ‘Blues’. Going 4 – 0 up? In the first half?! That’s not Blues! Going on to concede 3 and a last minute penalty though? Therrreee’s the Blues we all know and love. Not to take anything away from Lee, but it really was an awful strike with Nahki Wells opting to place it slightly to the keeper’s right. Taking Camp’s reputation into account there’s actually a 50% chance that he didn’t actively save it, rather he tripped and fell into the balls path. But alas! I took an oath to never speak negatively about our Lord Manbun ever again so these jokes must stop! However, is there anything more Lee Camp than saving the penalty and turning your back on the game to celebrate whilst the ball’s still in play? It happened, go back and re watch the footage… What a man! Seriously though, I’m being unnecessarily critical. We may have allowed QPR to pull three back but that was mostly due to complacency throughout the whole team. If the boys could have learnt anything from Witton’s embarrassing 3 – 3 draw just 24 hours earlier, it’s that anything can happen in this league and a 3 goal lead isn’t always enough. And if we’ve learnt anything from supporting Blues all these years, it’s that a SIX goal lead may not always be enough! When the final league tables are printed, there will be no footnotes. There’ll be no little asterisk next to our points total saying “yeah, but they time-wasted at Leeds” and no little post-it notes reading “yeah, but they almost threw away a 4 goal lead at QPR”. No, the points total is the points total. A win is a win and who cares how it comes about? So tonight we face fellow EFL black sheep Bolton Wanderers. You could call it the Black Sheep Derby. If you like? No? Fair enough. I don’t want an exciting game; Saturday was enough trauma for me. Just a nice, easy 2 – 0 win will do me nicely thank you very much. Maybe we can miss a penalty in the dying minutes of the game, I’ll accept that level of drama. Or maybe my halftime pie could be a little on the cool side and the beer a touch flat – I’ll take that. I’ll be annoyed but at least my heart rate will remain constant. After all, I’m becoming an old man with a starving dog, crying baby and a wife that’s ready to trade me in for a hunky Spanish waiter called Sergio. At my age I can no longer take such extreme emotional ups and downs like the ones we witnessed at the weekend. Just looking at our position in the league table makes me dizzy! We draw games, we nick a goal here and there, we struggle through a season. No one warned me that we’d suddenly unearth a 20 goal-per-season striker and start challenging for the playoffs. I’m not mentally prepared for such a rollercoaster. So here’s hoping we have a nice, boring game tonight; none of this 4 – 3 nonsense! We’re Birmingham City, we’re not supposed to score 4 goals in one half then decide to have a bit of banter and try to throw it all away in the second. It was fun though, wasn’t it…? Maybe we can even start to dream of Wembley…? Oh go on then, let’s do it all again! 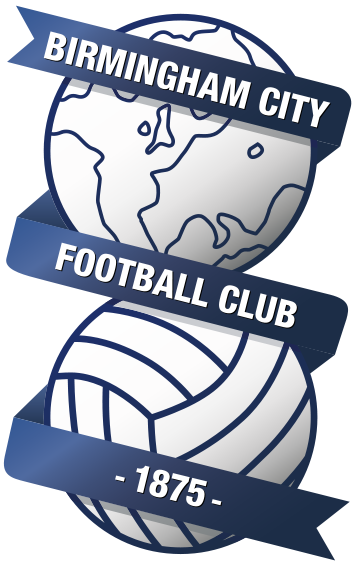 Night, Che getting two, me i will again miss out on watching Blues on Sky, have a darts match tonight GRrrr, still have to watch it on replay, live in Spain but miss going to the matches, o well as long as my prediction is spot on,KRO. I have just realised from your comments that being a Bluenose is what is responsible for me living a long life. I have lived for 65 years and my body has been subjected to the abuses of alchohol and ciggy’s and by all accounts I should be dead but being a Bluenose has strengthened my organs so much through games like Saturday that no matter what abuse I give it my body just lives on. KRO.